Question: What do you get when you cross thriller, sci-fi, fantasy, and horror all together? Answer: A killer Dean Koontz novel. The master of genre-bending, Koontz has published a remarkable range of 100+ books since he began writing in the sixties. Most of his works are primarily a blend of psychological thriller and horror, with quite a bit of speculative fiction mixed in — indeed, from malevolent AI to villains who can stop time, there’s no shortage of brilliantly woven dilemmas for his dauntless heroes to untangle. So if you’re a fan of all these elements and more, you’re going to love this list of the 16 best Dean Koontz books spanning more than thirty years of his career. Though Koontz had been writing for a decade prior to Demon Seed, this book was his first bestseller. It’s the captivating account of Susan Harris, a wealthy and reclusive divorcée, and the artificially intelligent computer that imprisons her in her home. This computer, Proteus, has one wish: to live outside the bounds of machinery and experience things as humans do. But the only way “he” can do this is by impregnating Susan with his biologically engineered spawn — and then inhabiting it with his own consciousness. Equal parts imaginative and disturbing, this horror/sci-fi/twisted love story was a pioneer in science fiction when it was first published in 1973. The book also inspired a 1977 movie starring Julie Christie, which itself was a bit of a Black Mirror predecessor. Whispers is recognized as the book that definitively brought Koontz into the mainstream. It follows Hilary Thomas, an LA-based screenwriter who’s being stalked by a violent psychopath. This man, Bruno Frye, believes that Hilary contains the spirit of his abusive mother, whom he’s determined to extinguish (sort of a reverse Norman Bates, if you will). Scarier yet, Frye cannot be dissuaded from Hilary, even when she gets the police involved — or indeed, even after Hilary stabs him to (what she believed was) death. Now it’s up to Hilary and Detective Tony Clemenza to figure out how Frye can possibly still be alive, before they both succumb to his maniacal methods. Originally published under Koontz’s pen name Owen West, The Mask is a lesser-known creepy classic that’s great for Halloween reading. In this book, happy couple Carol and Paul Tracy hope to complete their perfect family by adopting a child. When they come into contact with a lovely young girl named Jane — who has amnesia and can’t remember her own past — they’re more than happy to take her in. That is, until Jane starts having nightmares, sleepwalking, and betraying hints that beneath her innocent exterior lies something extremely sinister. 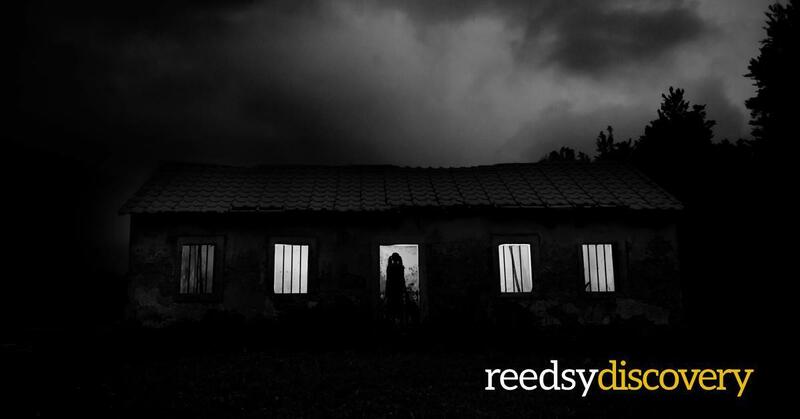 In the vein of Whispers, this horror novel continues to play on themes of family, identity, and the idea of possessive spirits, with a chilling and highly original twist. Based on the real-life legend of the vanishing village at Angikuni Lake, Phantoms involves another mysterious force taking hold of a small town. But rather than setting the whole population on a murder spree, it seems to have simply evaporated everyone from Snowfield, CA — with the exception of a few bloated corpses. Dr. Jennifer Paige and her sister Lisa are certainly shocked when they discover the town in such a state; luckily, they immediately get help from the Biological Investigations Unit of the military. Yet even the top experts cannot determine what might have caused such rapid mass extinction… until they stumble upon the research of one Timothy Flyte. In case you hadn't figured it out yet, this book draws heavily on the works of H.P. Lovecraft, with strange folklore and inexplicable phenomena around every corner. Unlike the largely plot-driven books that Koontz had written up to this point, Strangers is largely a character study of people brought together by a shared yet obscure experience. Dominick, Ginger, Ernie, and Brendan suffer from various ailments, all seemingly related to sleep and unconsciousness — Ginger, for example, frequently goes into a dissociative fugue state, and Ernie has a paralyzing fear of the dark. These titular strangers find each other through a collection of photos in which they’re all present (already a marvel in the pre-Facebook age), despite not remembering when they were taken. Slowly, the origin of the images is revealed… and the conspiracy behind them further unites the group in their efforts to unravel it. Similar to Night Chills, this novel reflects Koontz’s well-known mistrust of the government, and the grim possibilities that lurk within a system of protection at civilians’ expense. Now for one of Koontz’s more fun and wholesome trademark tropes: the dog as man’s best friend, inspired by his real-life love for canines. Watchers begins with Travis Cornell, an ex-Delta Force member struggling to find new purpose in life, who discovers a golden retriever and a baboon-like creature in a canyon near his house. The latter is trying to kill the golden, but Travis manages to rescue him and take him home, naming him Einstein when he recognizes the dog’s incredible intellect. Of course, Travis and Einstein’s troubles are far from over: they’re soon on the run from federal agents, as well as a professional assassin hired to kill everyone from the project that created Einstein and the baboon creature. A bizarre yet thrilling roller-coaster ride from start to finish, Watchers is ideal for those who prefer their suspense novels a little outside the box. Koontz really hit his stride with this novel, which boasts one of his most innovative premises and some truly impressive worldbuilding to support it. Lightning centers around Laura Shane, a girl born during a lightning storm who narrowly avoids the consequences of a botched delivery, thanks to the intervention of a complete stranger. And though Laura has many more brushes with danger over the course of her life — from a child molester to a confrontation with a gunman — the same stranger always returns to protect her. After years of his serendipitous yet sporadic presence, Laura can’t help but wonder who he is and why he’s chosen her… yet the truth is beyond even her wildest theories (and probably the reader’s theories, too). Perfect strangers once again unite in this tale of Moonlight Cove, a formerly sleepy little beach town that’s now plagued by part-human, part-beast killing machines. Undercover FBI agent Sam Booker and T.J. Lockland, the sister of one of the victims, arrive in Moonlight Cove to investigate. They run into Chrissie Foster, an eleven-year-old whose parents have transformed into the murderous creatures, and who’s just barely escaped with her life. Together, these three unlikely allies must dig into the town’s dark past and its most disturbed residents to get to the bottom of Moonlight Cove’s deadly infestation. Naturally, they’re not helped by the fact that the local police are trying to cover up the whole thing — another instance where Koontz clearly conveys his distrust of “the authorities” and his inverse faith in the individual. Alas, not the inspiration for the critically acclaimed series starring Kristen Bell. Koontz’s The Bad Place is predictably much darker, and much more similar to Memento: Frank Pollard wakes up in a veritable “bad place” every day, unable to remember anything — except that he has to run. Terrified of his own lapsed memory, especially after several close calls with a mystery assailant, Frank hires a husband-and-wife security team to protect him. But as this team, Bobby and Julie Dakota, delve into Frank’s case and try to figure out his attacker’s identity, they realize they’re in over their heads… because they can’t contend with destiny, and Frank’s fate was decided from the day he was born (another frequently recurring theme in Koontz). The opening line of Dragon Tears is a prime example of how to start a story: “Tuesday was a fine California day, full of sunshine and promise, until Harry Lyon had to shoot someone at lunch.” From there unfolds an action-packed week in the life of Harry, a special projects police officer, and his fiery partner Connie Gulliver. For Harry and Connie soon encounter a bedraggled man on the street, who tells Harry, “Ticktock, ticktock. You'll be dead in sixteen hours.” This ominous warning, along with several other strange and savage events, compels our dynamic duo on a mission to discover who — or what — is behind all the unusual violence ongoing in this little California town. Dragon Tears is particularly notable for its quick-shifting perspectives among the main characters, including a few chapters from the very refreshing POV of a dog. In true David Copperfield-established tradition, Mr. Murder revolves around a character who’s a semi-autobiographical version of Koontz: in this case, Marty Stillwater, a bestselling mystery author who lives in California with his family. And though Marty’s life appears perfectly content, he’s haunted by his mysterious connection to a man known as “The Killer.” The Killer is a genetically engineered professional assassin who traverses the United States, murdering both his assigned victims and anyone who gets in his way. And did we mention he bears a striking resemblance to Marty Stillwater — and feels an irresistible pull in his direction, no matter where they both are? Mr. Murder takes the theme of doubles (or triples, if you count Koontz himself) to its most mind-bending extremes, perfectly combining thriller and sci-fi for an almost unbelievable yet completely riveting ride. Chyna Shepherd has always been a survivor — after all, when your deranged mother treats you like trash, you have no choice but to develop a shell of self-sufficiency. Of course, Chyna never imagined she’d have to use her skills to thwart a sociopathic murderer. But that’s exactly what happens when she witnesses Edgler Foreman Vess (who refers to himself, sickeningly, as a “homicidal adventurer”) break into her best friend’s home and slaughter everyone in it. Unfortunately for Chyna, this is only the beginning of her fight against Vess, as she soon learns that he plans to kill again — a vicious scheme that only she can stop. True to its name, Intensity is a page-turner that will seriously make you sweat, with nary a break in either action or in Chyna’s feverish internal monologue as she struggles to outmaneuver Vess. The first in Koontz’s bestselling series of the same name, Odd Thomas introduces us to the eponymous hero, a twenty-year-old short-order cook who can communicate with the dead. Like many of Koontz’s characters, Odd has just emerged from a pretty rough childhood; however, despite his general disillusionment, he hasn’t lost his own inherently good nature. For instance, when he’s approached by the ghost of a murdered girl, he’s able to point police toward her killer. However, a much greater evil is about to descend upon the town of Pico Mundo in the form of the "Fungus Man" — a figure who walks into Odd's diner one day, surrounded by shadowy spiritual harbingers of death and destruction. As Odd probes further into these cryptic forces, he begins to understand that his supernatural abilities are no match for what the Fungus Man has in store… but that doesn’t mean he’ll quit trying. Plus, no matter how you feel about paranormal fiction and battles of good vs. evil, you should at least read Odd Thomas for the other amusing “oddities” used to lighten the tension: namely, a rotating cast of famous ghosts who keep our hero company, including the specters of Elvis Presley and Frank Sinatra. Life Expectancy is another novel wherein the circumstances of the protagonist’s birth have an enormous impact on his life — only this time, there’s an actual prophecy involved. On the night of Jimmy Tock’s birth, his grandfather Josef makes several predictions: most significantly, that his grandson will have five “dark days” throughout his life. When his other predictions about Jimmy’s birth prove to be correct, the Tock family realizes that his grandfather might not have just been spouting nonsense. But what they don’t realize is that the unfathomable horrors that befall him are not mere coincidence: everything is connected, and connected farther back than any of them can know. Of all Koontz’s works, Life Expectancy makes for some of his most interesting commentary on family and upbringing — especially when the true nature of these elements come to light. “We have your wife. You can get her back for $2 million — cash.” So reads the tagline for this heart-pounding thriller, which follows a man named Mitch Rafferty in his quest to save his kidnapped wife, Holly. When her captors inform Mitch that Holly will be killed unless he forks over the cash — and left to die if he informs the police — Mitch must figure out how to get the money without letting anyone know what’s really happening. Through a series of escalating, elaborate ploys, Mitch believes he’s figured out exactly what to do… until he’s betrayed by someone he thought he could trust. The Husband is the absolute pinnacle of suspense, but what’s most impressive about this book is how it takes a fairly basic premise and transforms it into something complex and substantial. Indeed, the latter is a defining quality of every novel on this list: the carefully constructed characters and intricate plotlines will enthrall you completely. Years later, you’ll still remember how each masterful twist made you gasp. Dean Koontz certainly deserves his reputation as a grand master of thriller and horror, and his incredible repertoire will no doubt secure his legacy on the shelves next to Stephen King. Looking for exciting new thriller & suspense novels? Uncover the scariest new indie reads every week — sign up to our newsletter.